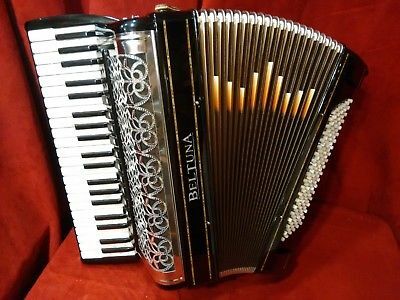 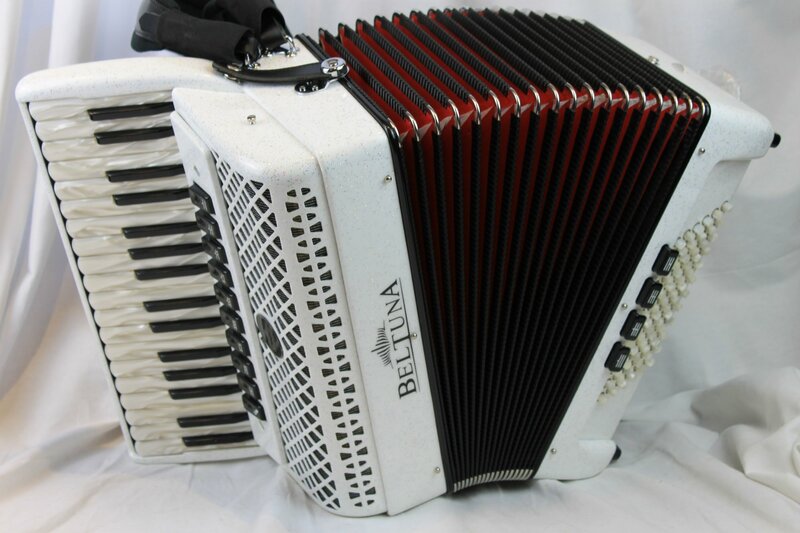 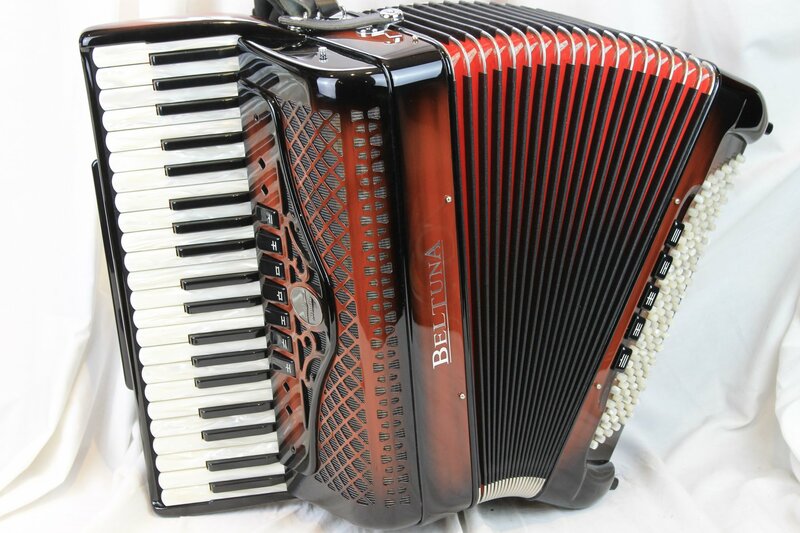 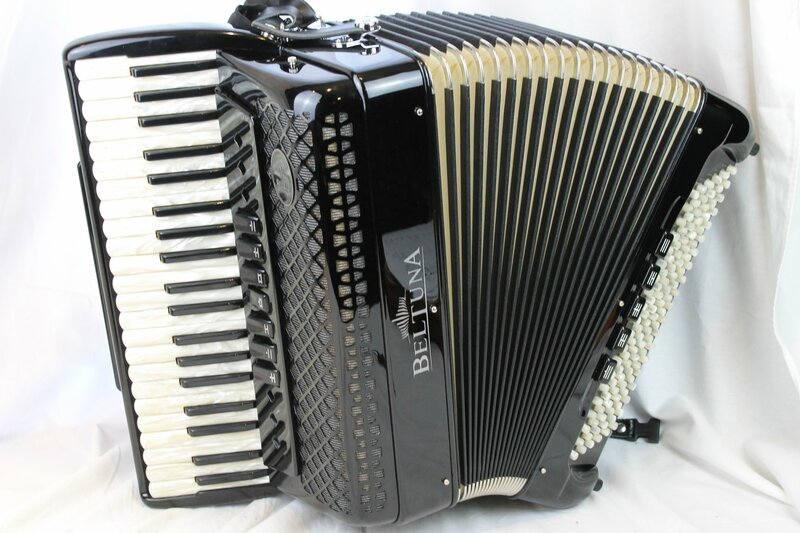 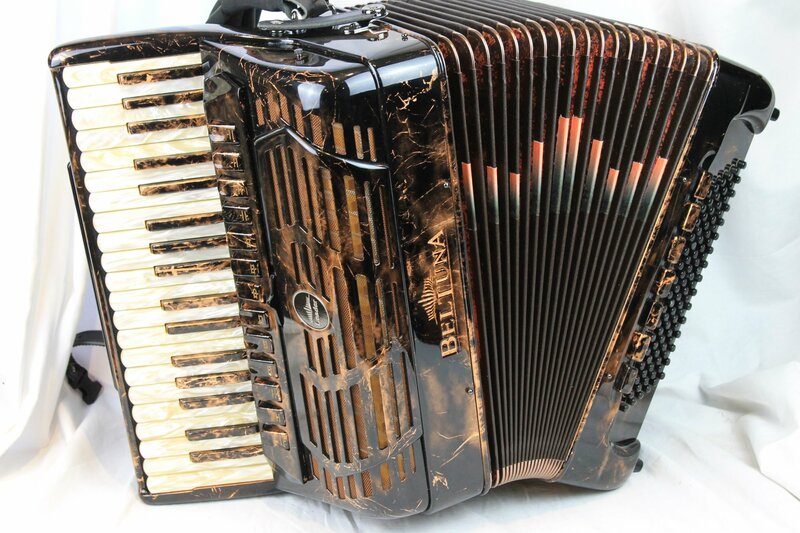 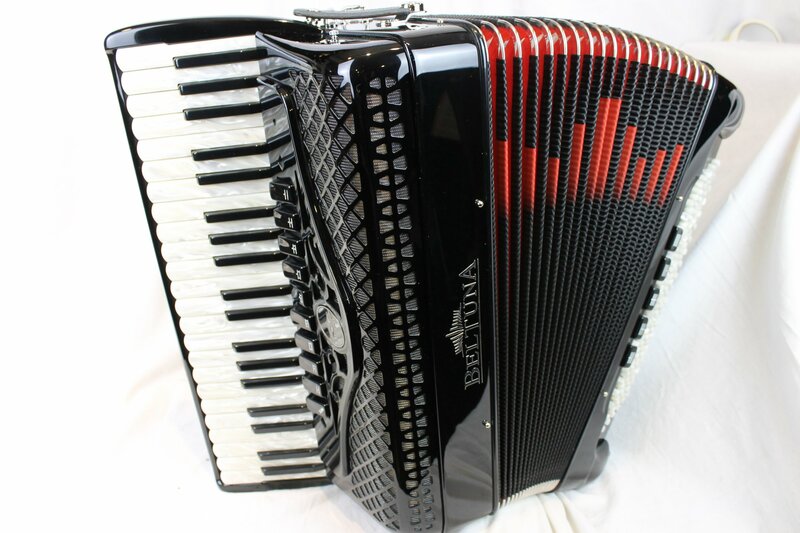 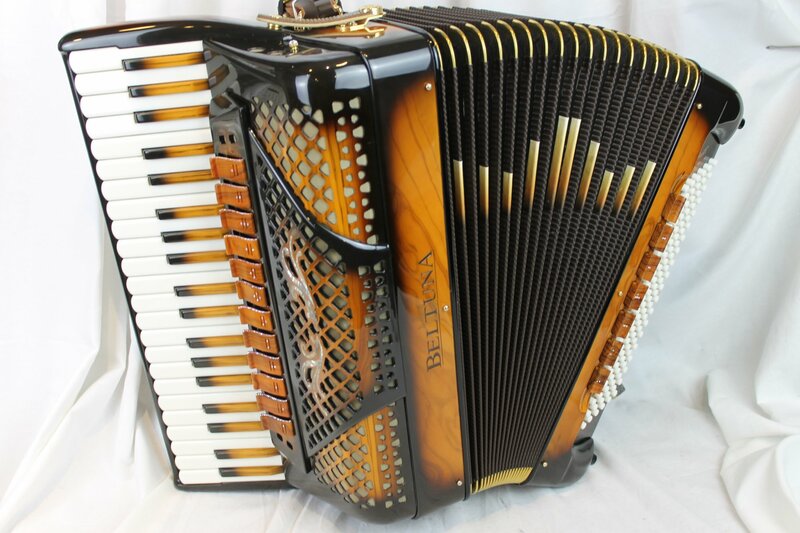 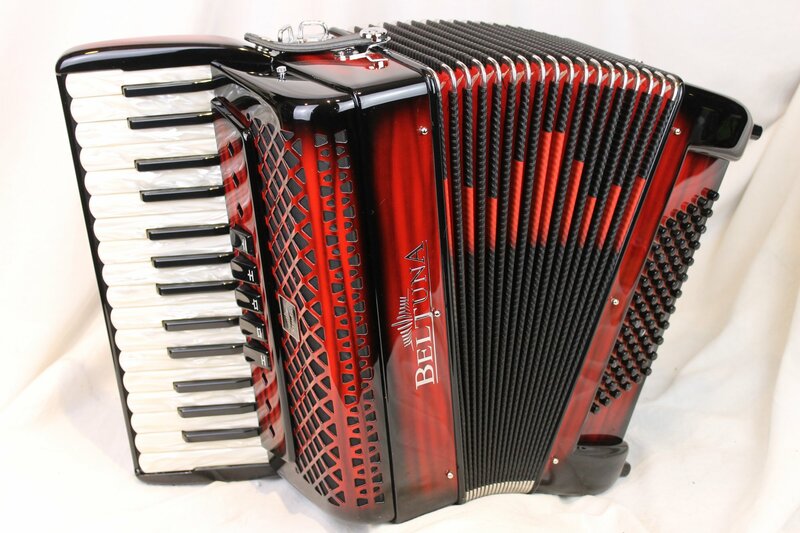 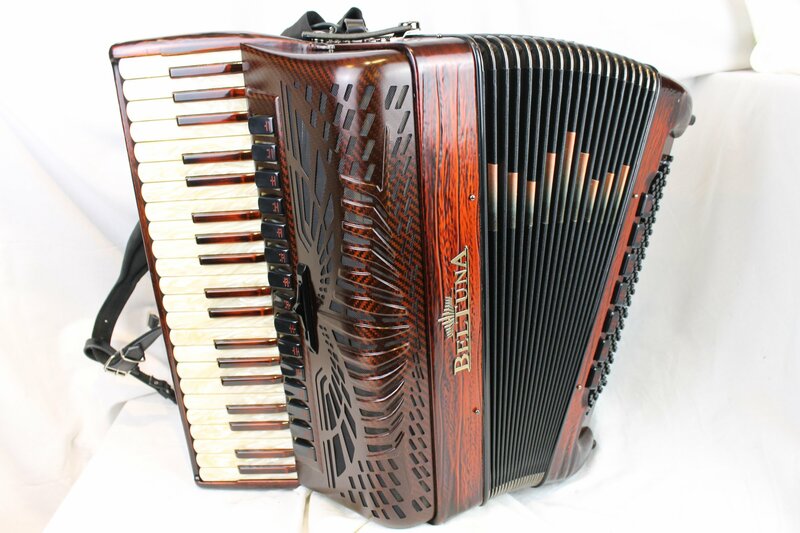 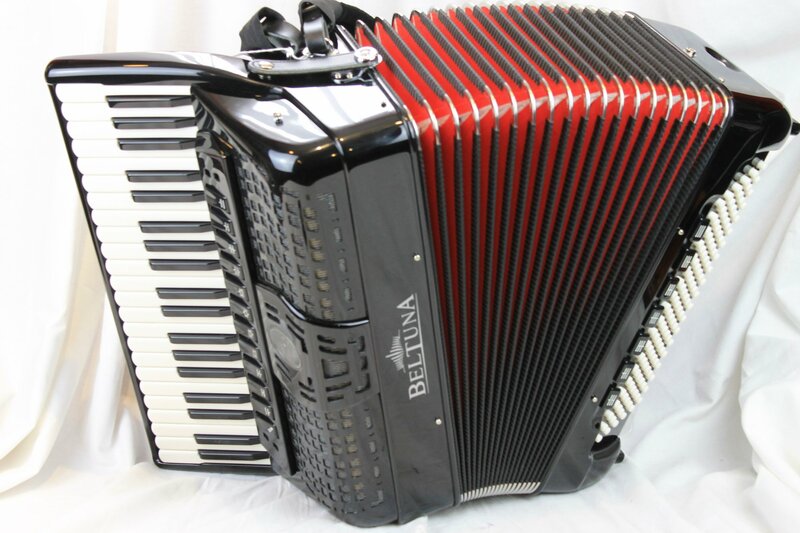 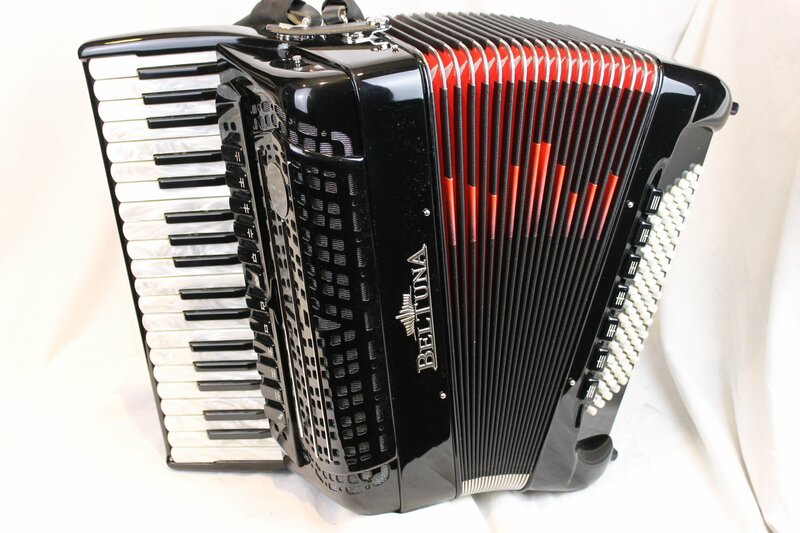 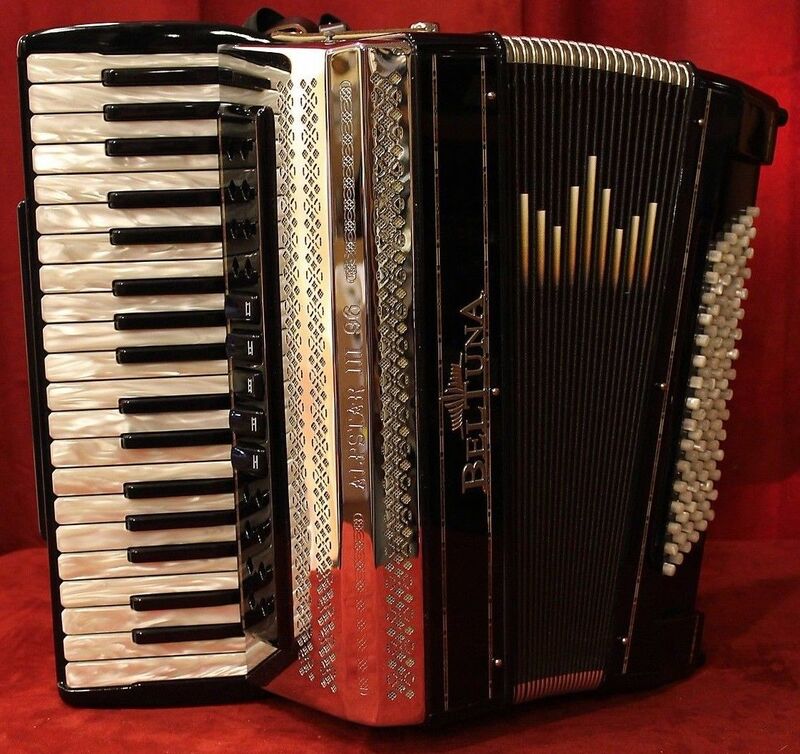 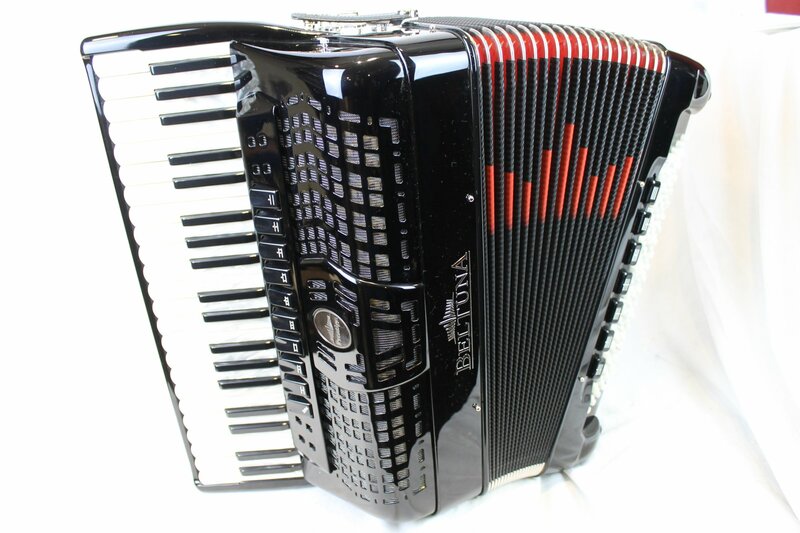 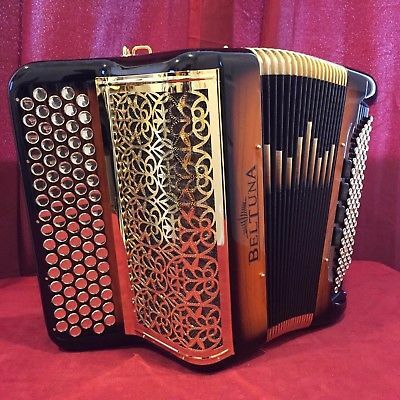 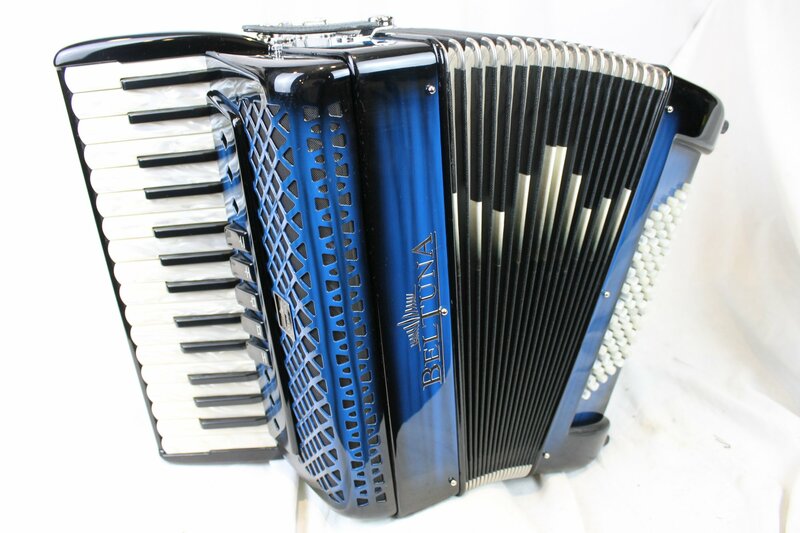 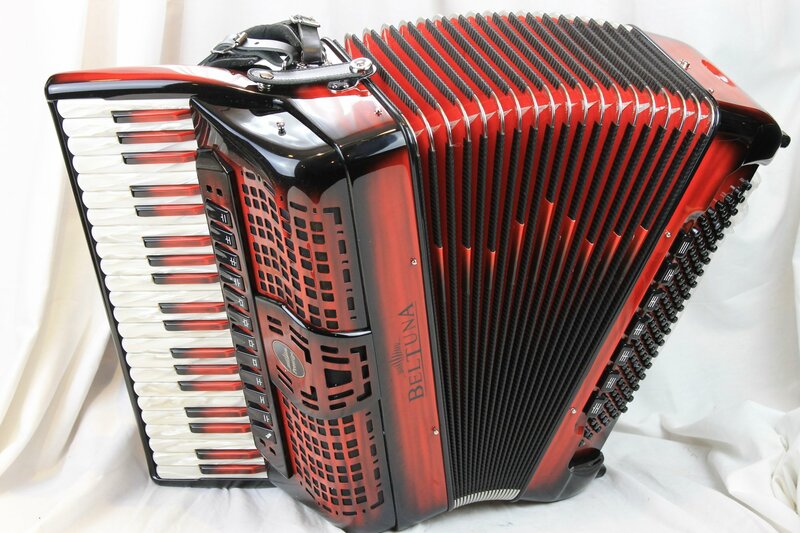 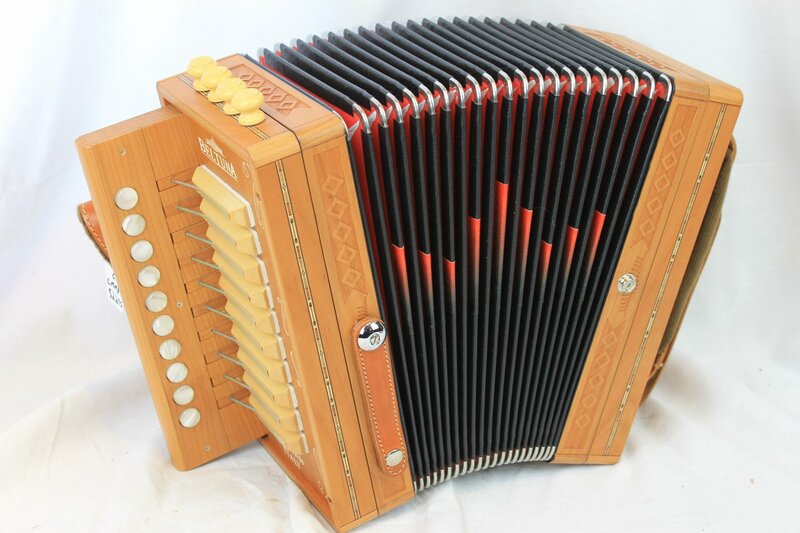 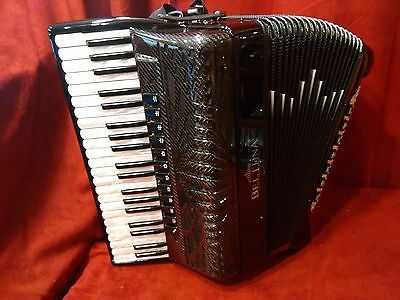 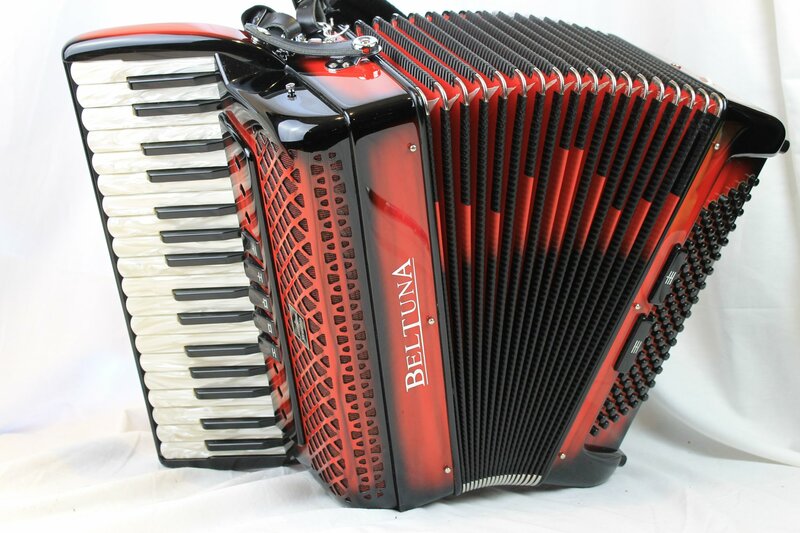 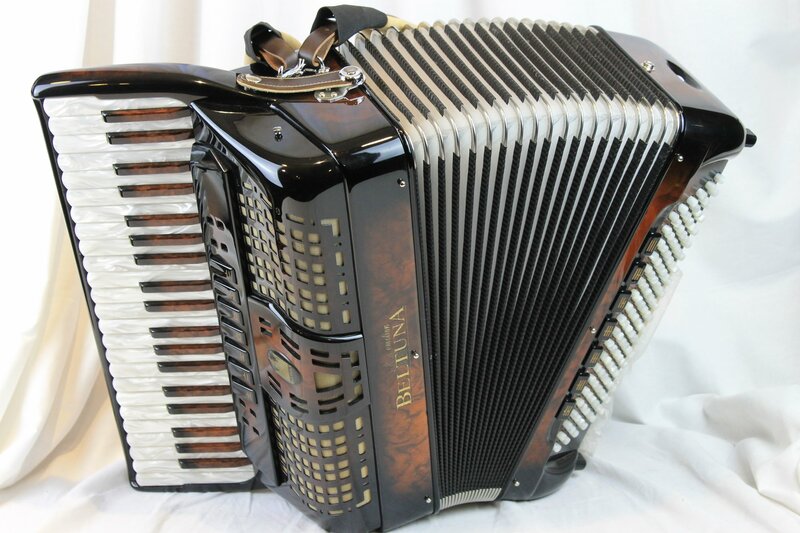 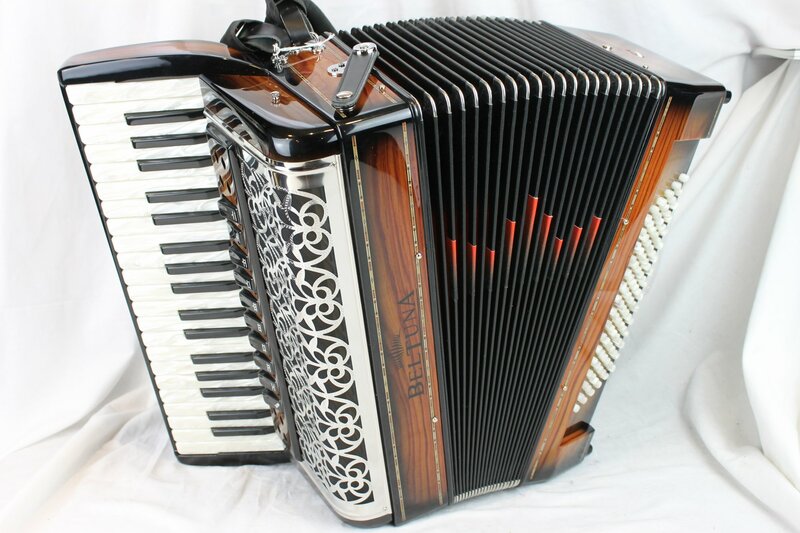 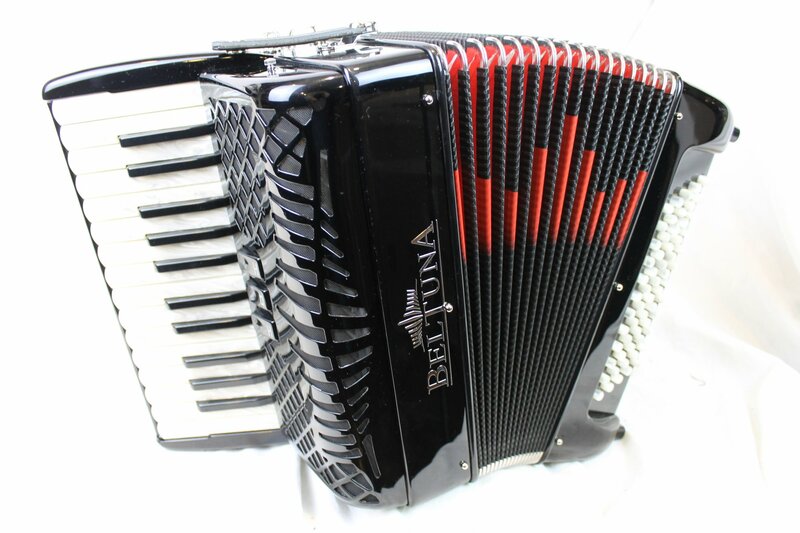 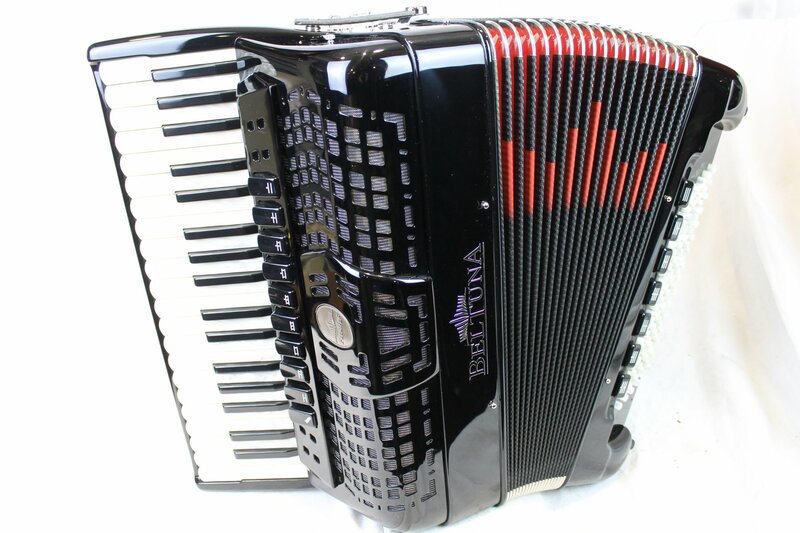 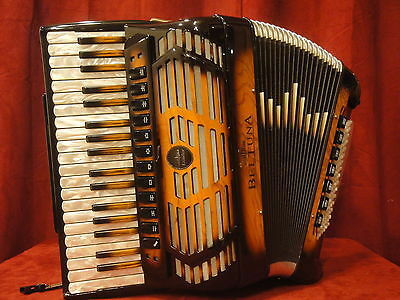 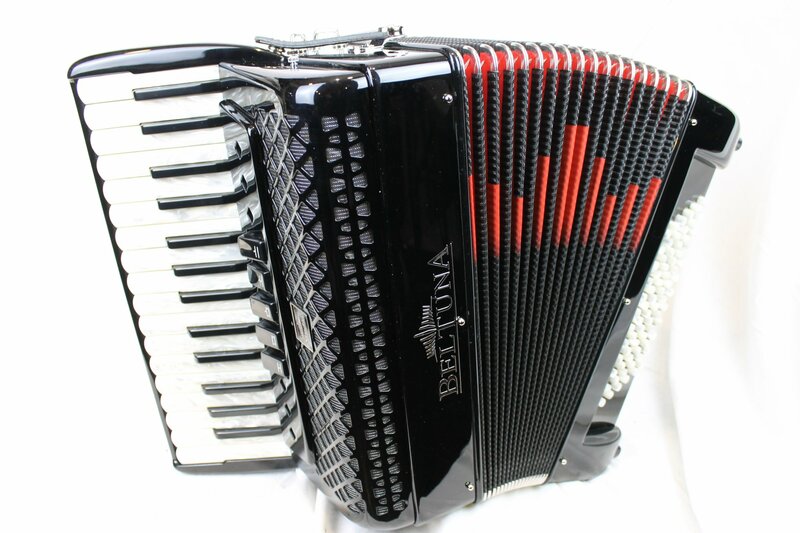 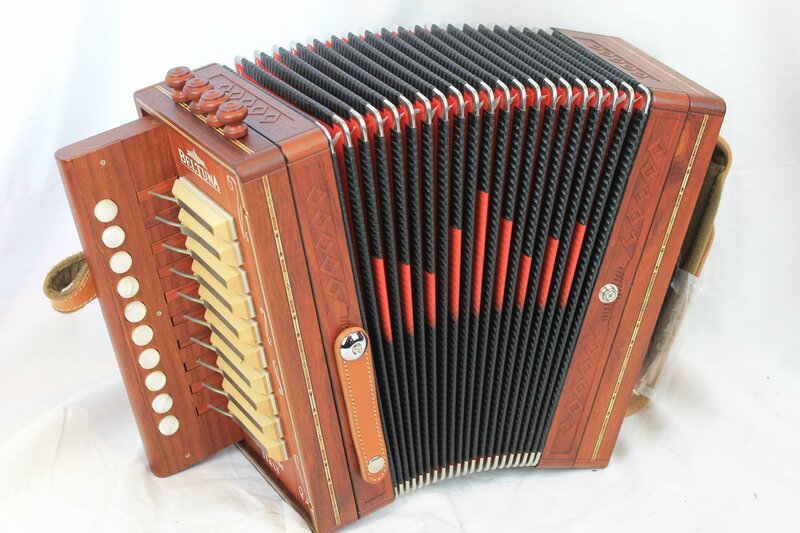 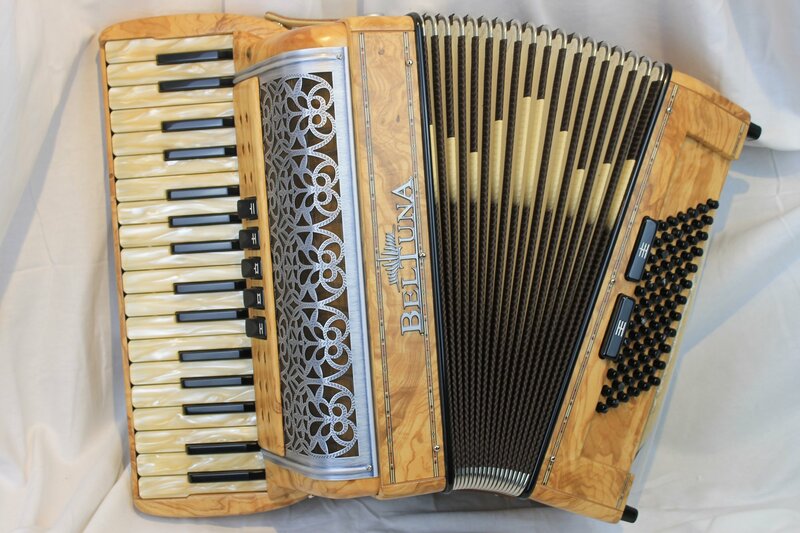 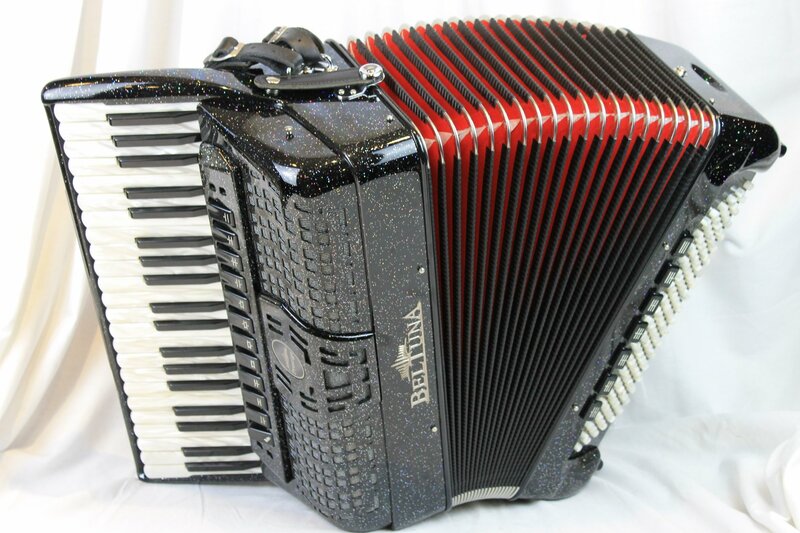 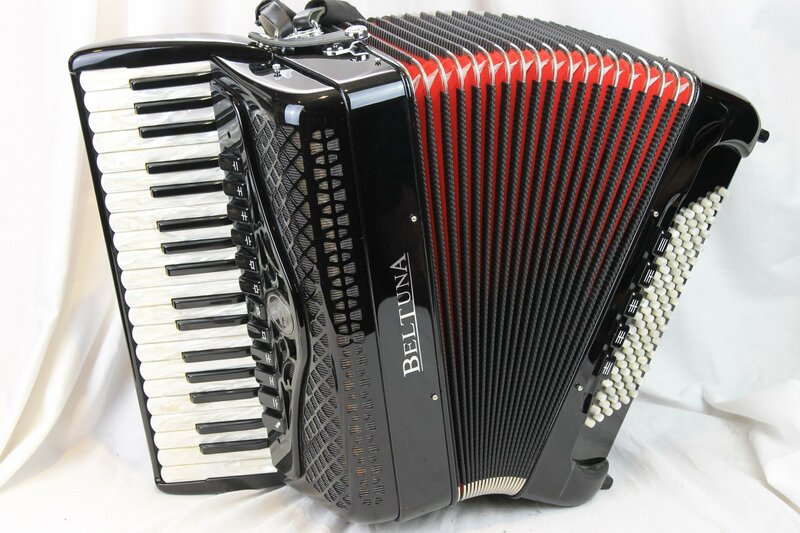 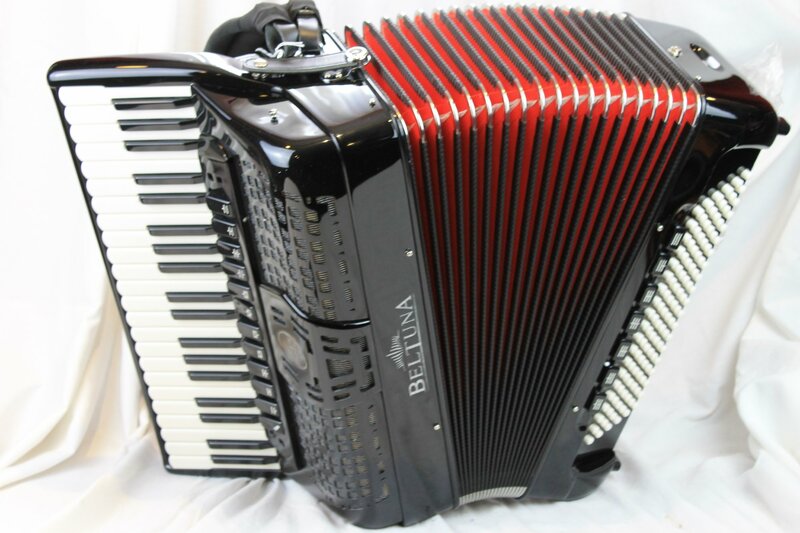 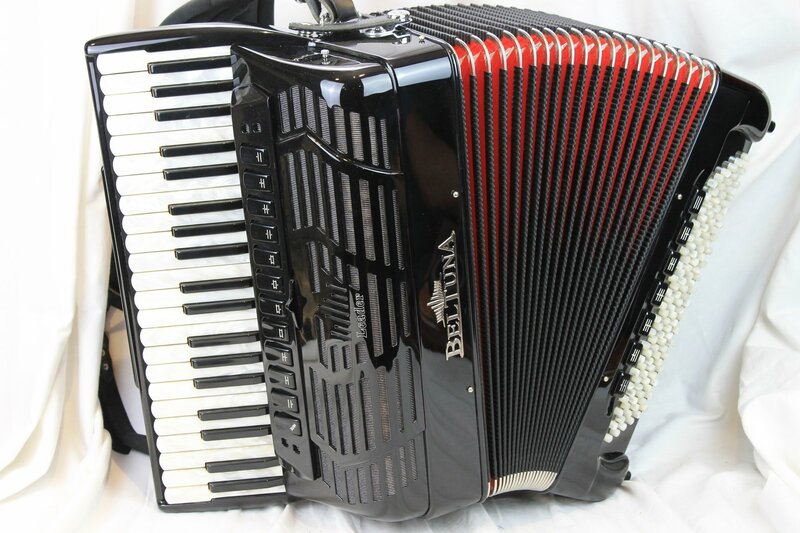 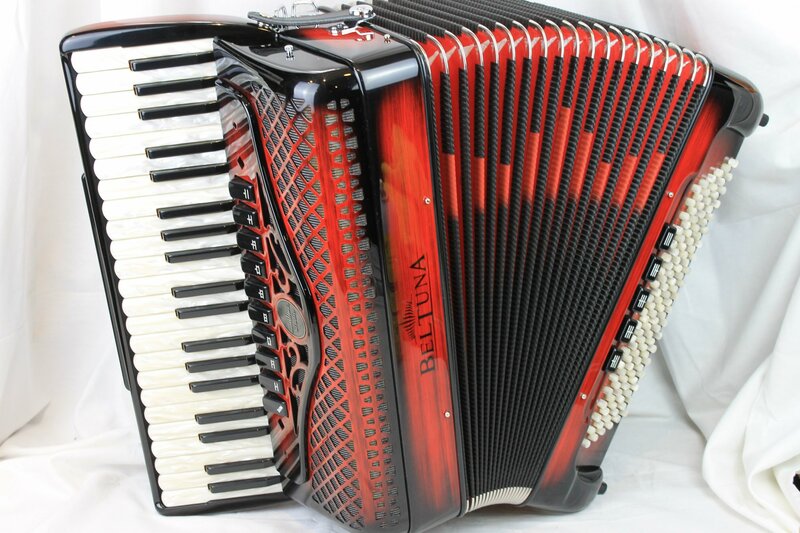 The name Beltuna translates to "Beautiful Tone" and since 1982, Beltuna has been making the world's most beautiful sounding accordions. 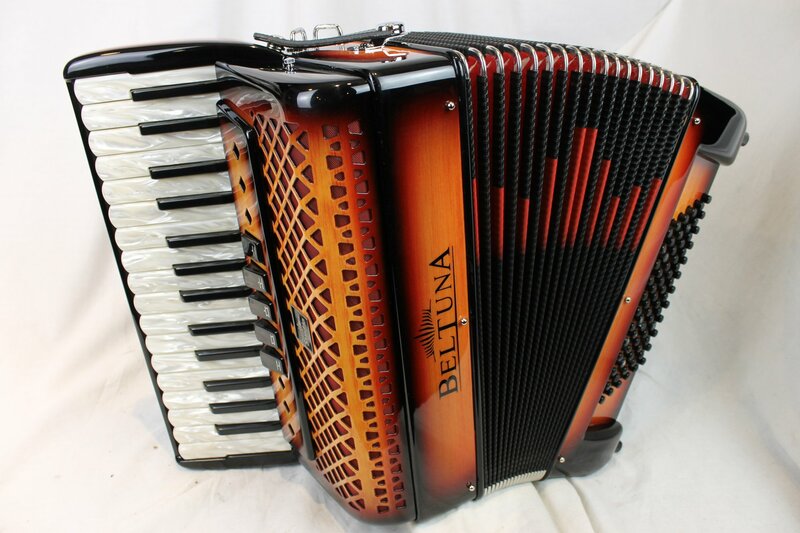 They offer a complete line with a gorgeous array of exotic wood and custom color finishes. 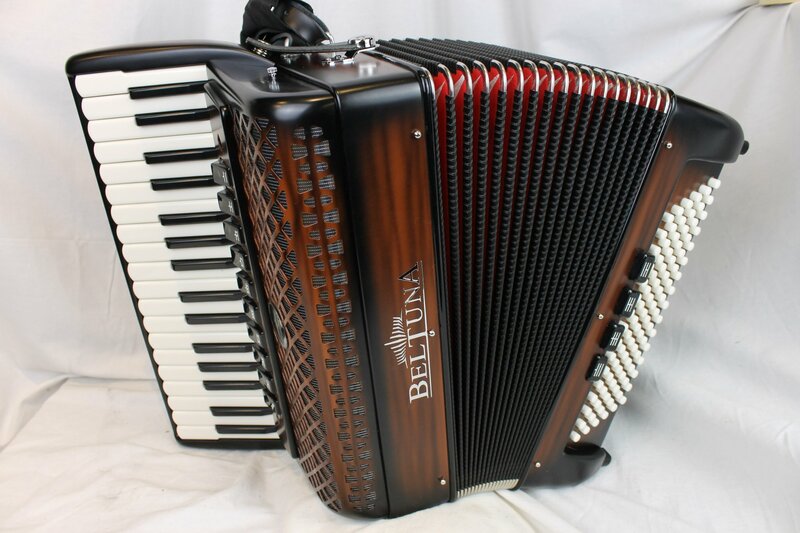 You will instantly recognize the sweet singing tone of any professional Beltuna instrument. 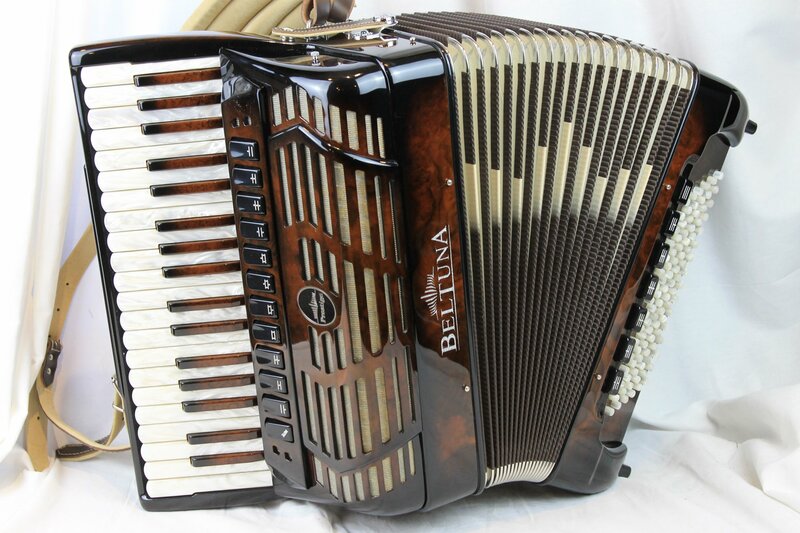 Their highest level of production features their Golden Handcrafted Voice (GHV) final tuning process. 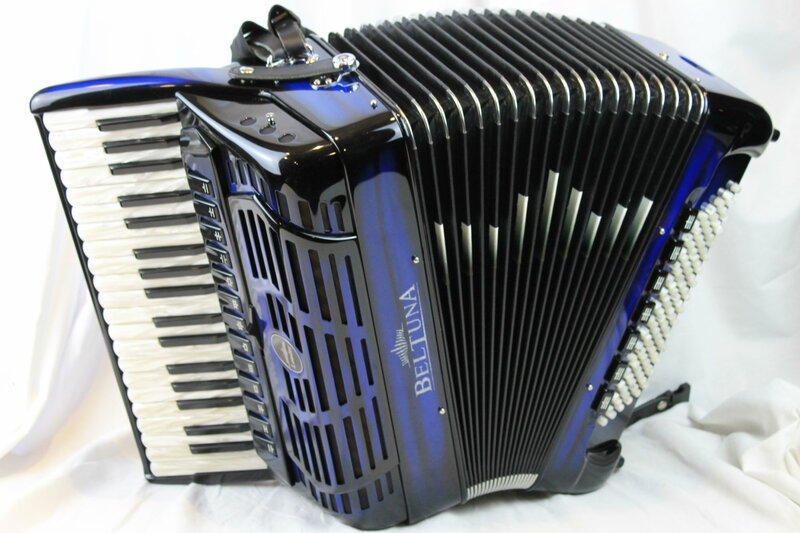 Made in Italy with 3 year factory warranty.